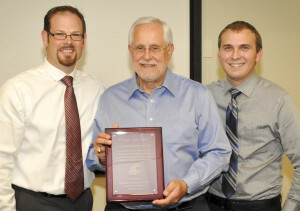 YAKIMA, Wash.—Angelo Ballasiotes, a clinical pharmacist at Central Washington Comprehensive Mental Health, has been named the 2015 Preceptor of the Year by the College of Pharmacy at Washington State University. Ballasiotes was surprised with the award Thursday, August 27, just before the WSU Doctor of Pharmacy White Coat Ceremony in Yakima, Washington. The white coat ceremony was a formal welcome for the student pharmacists entering the WSU professional program and Ballasiotes was the keynote speaker at the event this year. The award was presented by Rice and WSU College of Pharmacy 2015 graduate Glen Chase, who submitted a nomination for Ballasiotes to receive the recognition. The Preceptor of the Year Award is given annually to a WSU pharmacy preceptor for outstanding contributions to the educational development of future pharmacists by demonstrating high standards of professionalism, ethics and clinical practice within the experiential training environment. 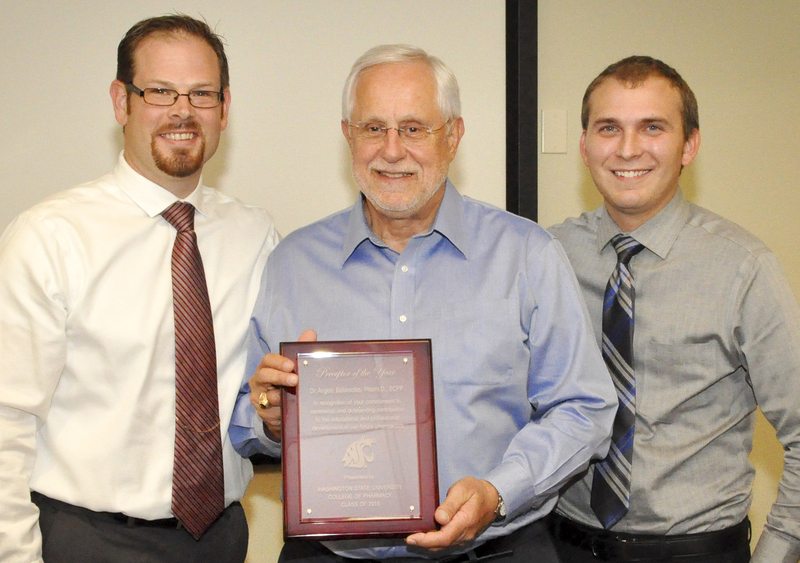 Ballasiotes was selected for his consistent commitment to mentoring and empowering student pharmacists on rotation, and his continuous efforts to innovatively expand pharmacy services and care to patients at Central Washington Comprehensive Mental Health, said Rice. The WSU College of Pharmacy was founded in 1891, and has been accredited since 1912. We are a graduate and professional education college. Our main degree programs include the Doctor of Pharmacy (Pharm.D.) and Doctorate in Pharmaceutical Sciences (Ph.D.). The College relocated from Pullman to the WSU Health Sciences campus in Spokane in December 2013, but has been heavily involved in the Spokane health care community since the 1970s through internships, experiential rotations, and pharmacy residency programs. The college currently has just under 500 student pharmacists and graduate students, and about 2,950 alumni. As of 2014, the WSU College of Pharmacy is ranked 25th out of 130 pharmacy schools in the country according to QS World University Rankings.